The bathrooms/showers were among the cleanest we've ever seen! Nice little place to camp but not really a 'river view'. We have stayed here a couple of times. 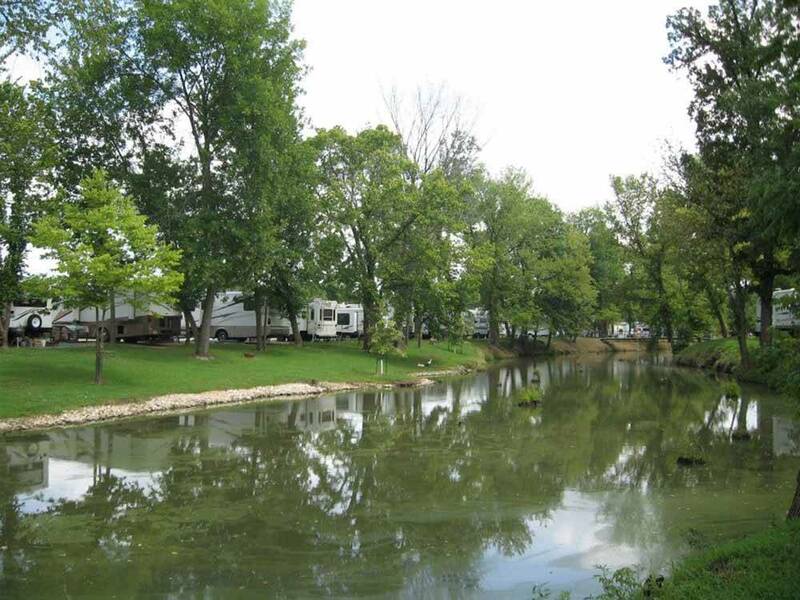 It's a nice RV park in a nice setting on the river. Great location to explore the Lake of the Ozarks area. The particular campsite during our most recent stay was a little tight due to some trees that made it tricky to get our slides out, but it was a nicely shaded spot next to a pond, and since it was a last minute reservation, we were just happy to get a campsite. They have a nice pool, and it's a nice place to take an evening walk around the campground. I guess my only real complaint was that they wouldn't honor my Good Sam discount since I didn't pay with cash or check, which I thought was a little odd. I've payed with debit/credit card at many Good Sam parks and this was the first time my discount was denied due to method of payment. I didn't press the issue as a $3.50 discount wasn't a deal breaker for me. I wouldn't hesitate to stay here again in the future. Many choices for boating & water sports on a GIANT body of water just feet away! Enjoy great restaurants in town or grill out over a fire in our park. Relax in our pool under the stars or sun.